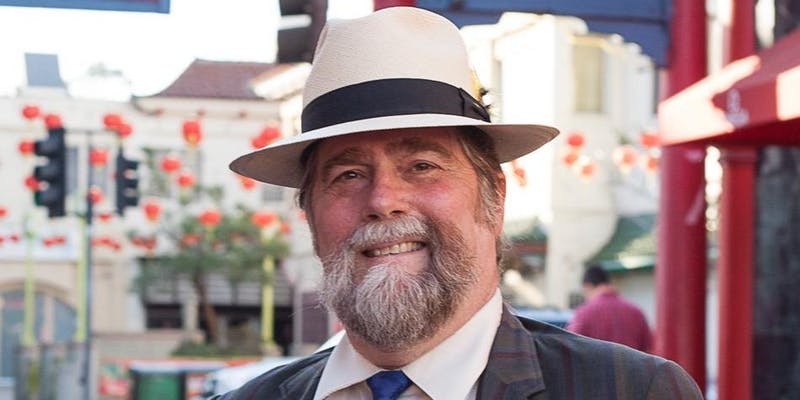 Thursday, April 4th Hear local journalist Richard Foss talk about how immigration to Los Angeles changed the things we eat, “Seven Gifts From Southern California Kitchens To the World”. Free, but sign up on Eventbrite/Seven Gifts From Southern California Kitchens To The World. Seating is limited. 6 p.m, El Segundo Museum of Art, 208 Main Street, El Segundo. Skateboarding found father Rodney Mullen talks about “Carving Out Your Creativity,” as part of the South Bay Families Connected series, sponsored by the Beach Cities Health District. 6:30 – 8 p.m. Hermosa Beach Community Center, 710 Pier Ave., Hermosa Beach. Free. Visit southbayfamiliesconnected.org to register. A Carnival and Community Festival at Aviation Park, next to the Redondo Beach Performing Arts Center. Carnival rides, petting zoo, food court and more. 1935 Manhattan Beach Blvd., Redondo Beach. Thurs. 5 – 11 p.m., Fri. 5 – 11 p.m., Sat. 11 a.m. – 11 p.m., Sun. 11 a.m. – 9 p.m. Free admission and free parking. For information visit nrbba.org. A free film screening of the 2018 documentary exploring the life of Supreme Court Justice Ruth Bader Ginsburg. Throughout March, the Palos Verdes Library District has honored and remembered the history and contributions of women who shaped our society by questioning social norms, speaking out against injustice, and strengthening their communities. This celebration is in preparation for the 100th year celebration of women’s suffrage in 2020. Two showings: 3 p.m. and 6 p.m. A short discussion will follow the 6 p.m. showing. Peninsula Center Library, 701 Silver Spur Rd., Rolling Hills Estates. The Knights of Columbus Lenten fish dinner to acknowledge the season of Lent. $11 per person, $6 per child under 12 (no tax or tip necessary). 5 – 7:30 p.m. Columbus Hall, 241 Avenue I, Redondo Beach. Call Nick Tesi for questions at (310) 717-2937. Palos Verdes Regional Symphony Orchestra presents Palos Verdes Regional Symphony Orchestra Spring Concert. The annual spring concert performed by the Palos Verdes Regional Symphony Orchestra is conducted by Elmer Su. 7:30 – 10 p.m. James Armstrong Theatre, 3330 Civic Center Drive, Torrance. For tickets and information call (310) 733-6111 or visit pvrso.com. The Second Annual Community-Wide Garage Sale in Hermosa Beach encourages residents to get their vehicles off the street and into their garages. The garage sale also seeks to reduce waste by encouraging the reuse of unwanted items. Host a sale at your house, building, or neighborhood block with concurrent garage sales throughout Hermosa Beach. For more information and to register visit hermosabch.org/index.aspx?page=921. Five true stories told by the people who experienced them. Composer and saxophonist Alex Hahn will tell a musical story and perform interludes. Sat. 7:30 p.m. and Sun. 2:30 p.m. 2nd Story Theatre, 710 Pier Ave., Hermosa Beach. $20 per person. For tickets call Jim Mueller at (424) 254-6433, SouthBayStories@gmail.com, or visit tickettailor.com/events/dmscreenplay/230830/. A fundraising event that offers a short walk (up to 2 miles) and an opportunity for friends, families coping with Parkinson’s to turn it into a positive experience. Opening ceremony 9:30 a.m., walk begins 10 a.m. South Coast Botanic Garden, For question or info call (310) 486-0153 or visit apdaparkinson.org/get-involved/optimism-walks/. Identifying plants correctly is a valuable skill as many local “weeds” are medicinal and/or edible. Learn about the common plants in our neighborhoods that many overlook for food and medicine. $20 per person. 10 – 11:30 a.m. SEA Lab, 1021 N. Harbor Drive, Redondo Beach. Register online at lacorps.org/sealab or call (310) 318-7438 or email acalbreath@lacorps.org. Lives Well Lived is a feature documentary film by Sky Bergman that celebrates the wit and wisdom of 75 or 100 years olds. Encompassing over 3,000 years of experience, 40 people share their secrets and insights to living a meaningful life. Free. 2 – 4 p.m. Joslyn Community Center, 1601 N. Valley Drive, Manhattan Beach. For more info visit lives-well-lived.com. Stay Singing presents Monthly Singer’s Roundtable at The Loft Academy, 128 Maryland St., El Segundo. Singers connect as a musical community to set goals and present a song for feedback. Meet more singers and check in on your musical growth. 4 – 5:30 p.m. $15. Sign up at staysinging.com. The Cherry Blossom Cultural Festival includes multicultural performances and demonstrations, plus learning to make origami and face painting. The Torrance Craftsmen’s Guild invites artists and crafters to display and sell their work. Food trucks and food booth cuisine. 11 a.m. – 4 p.m. Columbia Park, 4045 190th St., Torrance. South Bay hike: A moderate, 1 and-a-half hour, 4 mile hike on the greenbelt and hilly streets of Hermosa and Manhattan Beach. Meet every Tuesday for 7 p.m. departure at the parking lot near Hermosa Valley School, 1645 Valley Drive, Hermosa Beach. This is a good introductory hike for some of the more challenging hikes below. Free. For questions call (213) 387-4287 or visit angeles.sierraclub.org/palos_verdes_south_bay. Hear local journalist Richard Foss talk about how immigration to Los Angeles changed the things we eat, “Seven Gifts From Southern California Kitchens To The World.” Admission is free, but sign up at Eventbrite because space is limited. 6 p.m. El Segundo Museum of Art (ESMoA), 208 Main Street, El Segundo.